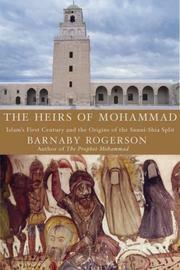 A well-crafted glimpse into the origins and early years of Islam, even then torn by dissension and violence. The result, centuries later, is sectarian division that shows no signs whatever of healing—and that figures heavily in the world news. Rogerson capably explains its beginnings.